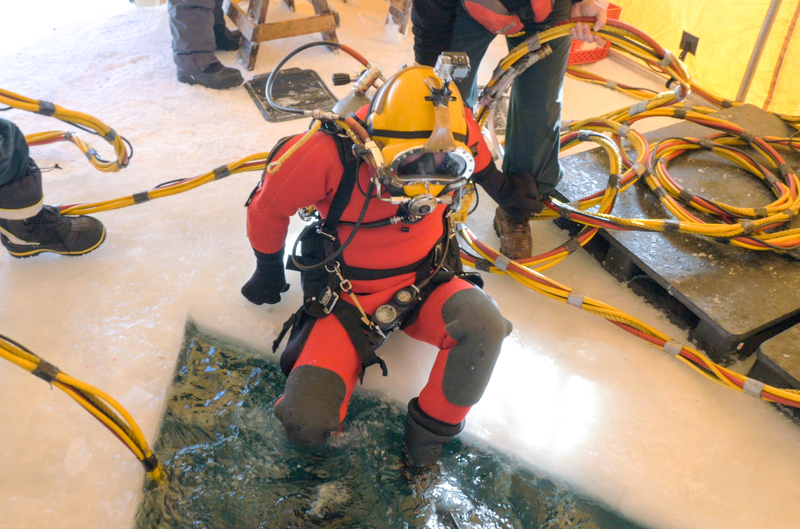 The Canadian military and Parks Canada today (one hour ago) revealed more details on their joint ‘ice dive’ next month on the wreck of the H.M.S.Erebus lost in the frozen wastes of the Canadian arctic in 1848. The initial announcement raised eyebrows when it was revealed that divers would be accessing the wreck while the pack ice over the site would be some seven feet thick. The April Erebus project will be supported by a strong military presence including the Royal Canadian Air Force, Navy and Army. The US will also represented by an Air National Guard unit from Schenectady New York that will fly a ski equipped aircraft to the site. This kind of support for archaeological operations has occurred before—most notably on the Hamilton and Scourge project in Lake Ontario when two 1812 War period wrecks were examined. Even the Canadian Space Agency will be involved in providing security for the location of the wreck between project operations. The Parks Canada approach is very conservative one designed to fully understand the site before any major disturbance results from excavation and removal of timbers. “We do not plan to remove artifacts at this stage but a conservator will be on hand in the event anything of major importance has to be recovered,” said Bernier. More to come on the Archaeology Hour broadcast next month.